A family fishes near Tyonek. Credit Courtesy of Davin Holen. Responding to oil spills can be hectic. Just finding the source of the oil and containing the spill is a job of its own, but responders also have the surrounding areas to contend with, taking into account what marine life might be nearby or what fisheries might be in the path of uncontained oil. Scientists have created a comprehensive tool for Cook Inlet to help responders understand the region, but data on important subsistence and personal use resources will now be integrated into the response tool within the next year. The Cook Inlet Regional Citizens’ Advisory Council helped build the tool with the Alaska Ocean and Observing System and it has been around for a handful of years now. It was used when the oil drilling rig Kulluk ran aground off Kodiak Island in 2012. The rig leaked diesel fuel near two salmon streams and was in the vicinity of a commercial tanner crab fishery, but it was also near a popular beach used for subsistence razor clam harvesting. Advisory Council Director of Science Sue Saupe said those subsistence resources are also incredibly important to keep in mind during a spill. “Depending on the incident, some of those data layers can become very valuable. Sometimes we’ll use it and identify a data gap that is missing. So, I think this data layer on subsistence use and personal use areas could be very valuable for planning and knowing what areas we should look at for protection,” Saupe explained. Davin Holen is a researcher with Alaska Sea Grant, and Holen is working to expand the tool’s subsistence data pool. Over the next year, Holen will pull data from the Alaska Department of Fish and Game, the Department of Natural Resources and other agencies to get an idea who is harvesting what, where and when. Holen plans to compile that data into an interactive map, overlaid with real-time sensors measuring everything from pH levels, to waves and currents, which will help responders predict the trajectory of uncontained oil and which resources it may come in contact with. Holen also hopes the maps will get responders to think about subsistence resources outside of salmon. “All harvesting activities, even down to berry picking,” he said. Holen adds that he wants his study to do more than just inform those responding to oil spills. 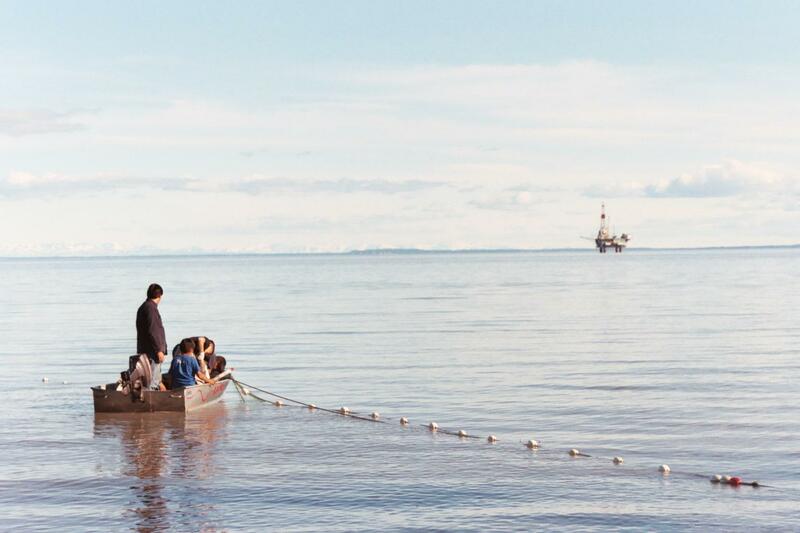 He also hopes to identify long-term changes in subsistence resources throughout Cook Inlet. Holen plans to interview residents in Tyonek, Nanwalek and Ninilchik to understand those changes. “I think if we can try to understand what’s going on now in this very dynamic region and then model that along with potential changes into the future, it could give incident responders, as well as people in the region, a better idea of what potentially the future could look like,” he said. Holen notes this project could also be used as a model for other regions around the state and help Alaskans protect their subsistence resources.